Aquascaping wave scissors 250mm are designed for easier trimming of foreground and carpeting plants. Particularly good for trimming plants such as Hemianthus Callitrichoides, Echinodorus Tenellus, Glossostigma and Hairgrass, where the carpet can be trimmed very harshly and close to the substrate. The 250mm size makes them ideal in larger planted aquariums with large carpeted areas. I like so many tried to make do with cheap tools from Asia. 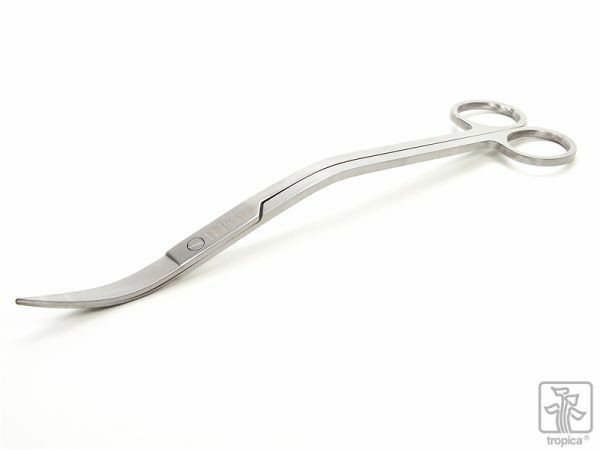 The Tropica scissors are good quality, nice angle and feel comfortable to use. The price is very reasonable.